GRAB LIFE BY THE MOMENTS and GET CRUZing! In need of inspiration for the ultimate RV trip? Head west to sunny California and visit Monterey and Santa Cruz counties for the vacation of a lifetime! If there is one bucket list trip not to be missed, this one is it. Trust us, you won’t regret it! There’s a reason 4.5 million people visit each year. The road trip traveling to the central California coast is incredible – filled with amazing scenery and lots of history. Travel along I40 and historic Route 66 through the gorgeous red rock canyons, mountains and native reservations in New Mexico. Take in the beautiful sites of the majestic Arizona forests. There are lots of sights to behold along the way, as well as a plethora of campgrounds to overnight at. Veer off a bit and take the opportunity to visit Four Corners – named so because it is the only point in the United Stated where four states come together perfectly. You can stand in four states at one time – New Mexico, Colorado, Utah and Arizona. Whether you’re in need of an adult recess or a family friendly holiday, Monterey and Santa Cruz counties can fulfill your every wish. You may favor an outdoor getaway with great hiking, sun, sand, and waves, or a more relaxed food and wine break. Maybe a family fun and wildlife experience. Or perhaps a sabbatical geared towards the arts, culture and history. Monterey and Santa Cruz Counties offer the perfect combination of destinations. Monterey County Convention & Visitors Bureau’s slogan is “Grab Life by The Moments,” and there are oh-so-many special moments to be had on this trip! One of the most scenic road trips you will ever take is Highway One along the coastline. While Highway One is not ideal for RVs, we don’t recommend you visit the area without experiencing this most unforgettable adventure. For good reason, it’s considered one of the top road trips in the US. There are several parks and RV campgrounds in the area where you can set up your home for a few days while enjoying the spectacular scenes and activities in towns and along the scenic byways. 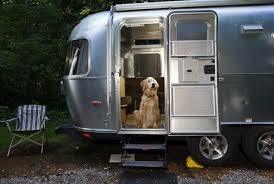 Either tow your own personal vehicle or rent one for a few days. It’s most certainly worth it! 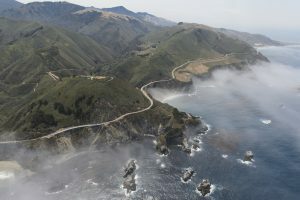 Enjoy the breathtaking views as you wind your way around Highway One along the stunning Big Sur coastline (in a car, of course, not your RV!). Admire the spectacular landscape and seascapes that Mother Nature has worked tirelessly to etch. We also suggest you take in the world-renowned 17 Mile Drive through Pacific Grove and Pebble Beach for a glimpse of the sensational Monterey Peninsula, showcasing famous golf courses, mansions and stellar scenic attractions. Be sure to stop along the way and pick up some fresh artichokes from one of the many roadside farm stands. Artichokes are a Monterey County favorite and perfect as a deep-fried snack or to include in a homecooked RV meal. Select the best in fresh fruit and produce at any of the local Farmer’s Markets, farms and U-picks in the area. 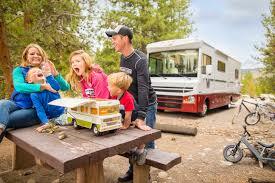 Not wanting to cook or grill out at the RV after a day of adventure? No problem! Both Monterey and Santa Cruz counties offer a wide variety of culinary delights to satisfy your every appetite – whether you hunger for a burger, a fresh seafood feast, or a five-course meal prepared by a renowned chef. Sit back, relax, and take in the incredible sights while dining with an ocean view. Check out the Monterey County Convention & Visitors Bureau for travel tips and for help planning your Monterey County itinerary. Make sure you are taking advantage of all it has to offer. You won’t want to miss the picturesque charm of historic Cannery Row, with its many extraordinary restaurants and shopping. Have a blast getting lost at the Monterey Mirror Maze. Fly a kite or indulge in some paragliding at Monterey State Beach. Enjoy the flashy fishes, colorful crustaceans, riveting reptiles, mesmerizing mammals and other creatures at Monterey Bay Aquarium. And be sure to visit Clint Eastwood’s old stomping grounds, Carmel-by-the-Sea, where he once served as mayor. Be careful, though; you’ll need a permit to wear high heels in Carmel-by-the-Sea. Seriously! And of course, you can’t visit the central California coast without stopping by historic Old Fisherman’s Wharf for an iconic and entertaining outing. Visit Santa Cruz County website for ideas and travel itineraries through Santa Cruz County, depending on what you’re yearning for. Take a walk along the Santa Cruz Beach Boardwalk and experience the magic of seaside fun while riding the Giant Dipper Roller Coaster and Looff Carousel. Play a round of golf on the redwood-ringed fairway at Boulder Creek Golf & Country Club in San Lorenzo Valley or the enjoy the ocean views at Seascape Golf Course in Aptos. Channel your inner adrenaline junkie with a canopy tour and zip-lining through the forest with Mount Hermon Adventures. Or take a hike along the unbroken trails beginning in the redwood covered mountains and end up with an awe-inspiring glimpse of the rugged beauty of wind and wave swept beaches. A truly breathtaking scene! Want to catch the whales? Then you’ll definitely want to take a break at the Whale Watcher Café in Gorda Springs Resort, as well as visit Monterey Bay National Marine Sanctuary. 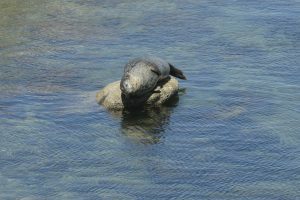 And while you’re enjoying near-perfect weather, keep your eyes open for the otters, seals and sea lions. Even the dolphins might make an appearance! 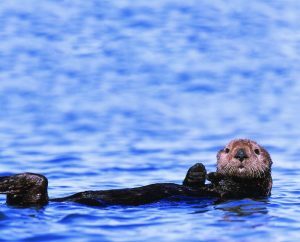 Venture out by tour boat from Santa Cruz Harbor or Monterey Bay to check out the best views of sea life. The otters will certainly entertain you with their whimsical antics, while the sea lions will fascinate you with their barks! Take in Natural Bridges State Beach or Point Pintos to enjoy finding unique and incredible sea wildlife while tide-pooling. If you’re thirsting for a world-class wine tasting experience, you can appease that in one of the top wine travel destinations. Monterey County boasts over 85 vintners and growers tending to more than 40,000 acres of wine grapes, with over 60 tasting rooms to choose from. Santa Cruz has over 70 wineries and tasting rooms, and is also becoming California’s next craft beer destination, as proof from the recent batch of breweries and taprooms opening. Three cheers and bottle’s up! What more can we say about Monterey and Santa Cruz Counties as the ultimate RV destination? No matter what kind of vacation you’re seeking, the central California coastline has it. Magnificent scenery, beautiful rugged mountain terrains, peaceful seaside havens, incredible outdoor adventures, and exceptional food, wine and craft brews. You just can’t ask for more than that! Unforgettable. In every way. And forever more, that’s how you’ll stay. That’s Monterey! Just like Nat King Cole sang it. Okay, so maybe he didn’t mention Monterey and the song really wasn’t about Monterey and Santa Cruz counties, but we’d like to believe it could have been. Go grab life by the moments and “cruz” along the central California coastline! 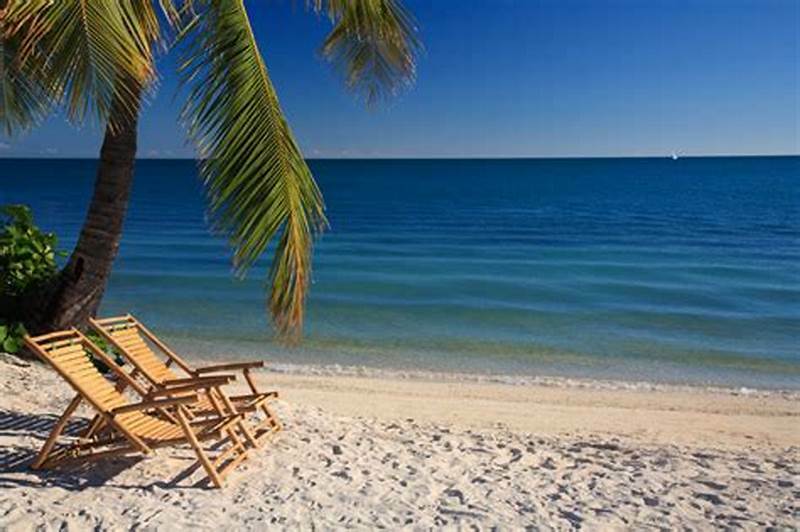 Head South and Escape the Cold! Please select your location of choice to view available units. Please select your location to make a payment on your unit. Thank you for choosing A-Affordable Storage. A-Affordable Storage is locally owned and operated serving communities across 4 locations in the DFW area including Mansfield, Crowley, Midlothian, and Granbury. COPYRIGHT 2019 A-AFFORDABLE STORAGE // DFW Website Designers.